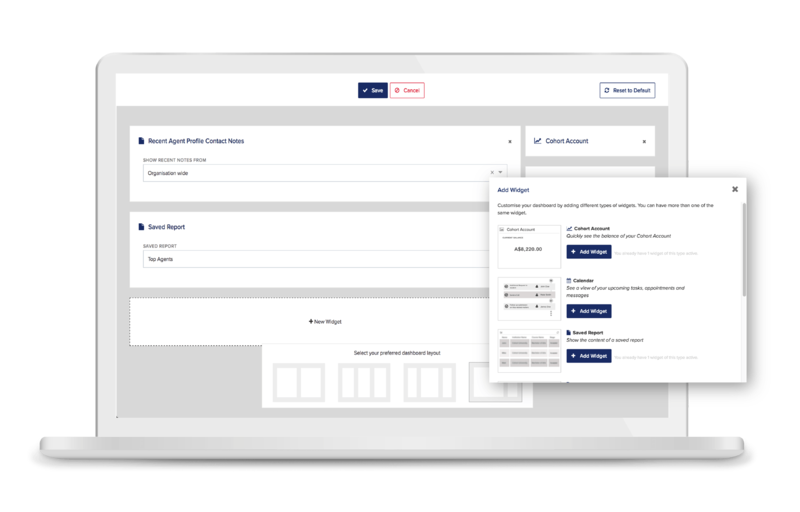 Manage your agents in one place. Managing your agents just got easier. Streamline your agent relationships in a powerful, yet simple online platform, tailored for you. Gain clarity on the status of your tasks and closely monitor agent relationships so that they don’t slip through the cracks. 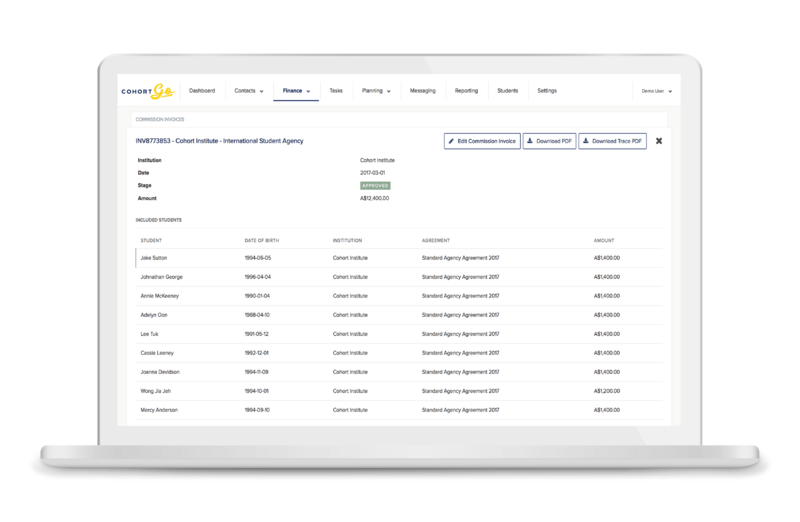 Automatically calculate agent commission accruals in seconds and generate invoices for each agent due commissions. Accelerate productivity with personalised dashboards & customise reports to make informed business decisions. Tailor and assign training modules, share documents & communicate directly with your agents through the platform. Harness the power of automation to manage business development, communication, training and reporting. Centralise contacts, tasks & activities. Manage, track and segment your agents in one cloud-based platform with secure access anywhere, anytime. 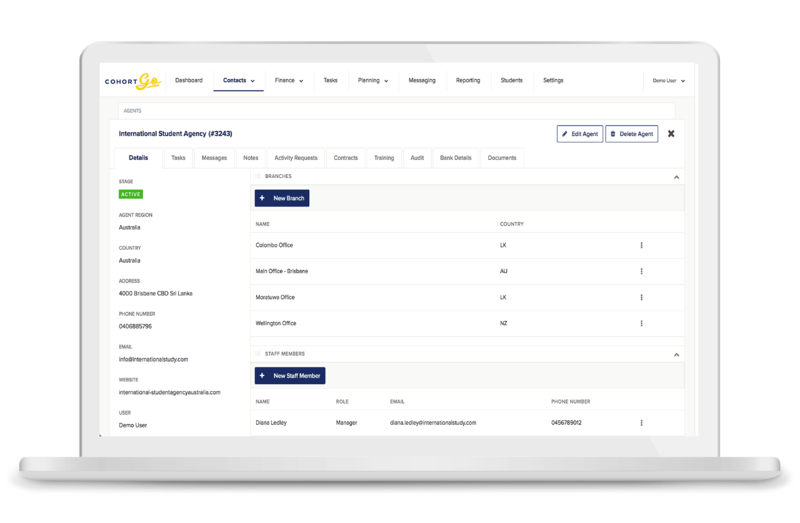 From insight to action, gain a complete view of your agents including activity history, key contacts, communications, and compliance. Assign tasks, track to-do’s and plan follow-up activities. Automatically calculate all agent commission accruals in seconds. At census date, simply upload a list of all current financial students and the module will automatically incorporate the commission configuration and generate invoices for each agent due commissions. Accelerate your productivity with personalised dashboards to visually analyse your data and make informed decisions. Choose from a collection of layouts and widgets including contact filters, calendars and notes. Select from a range of report templates to review agent and team performance. You can also customise reports to suit your requirements. 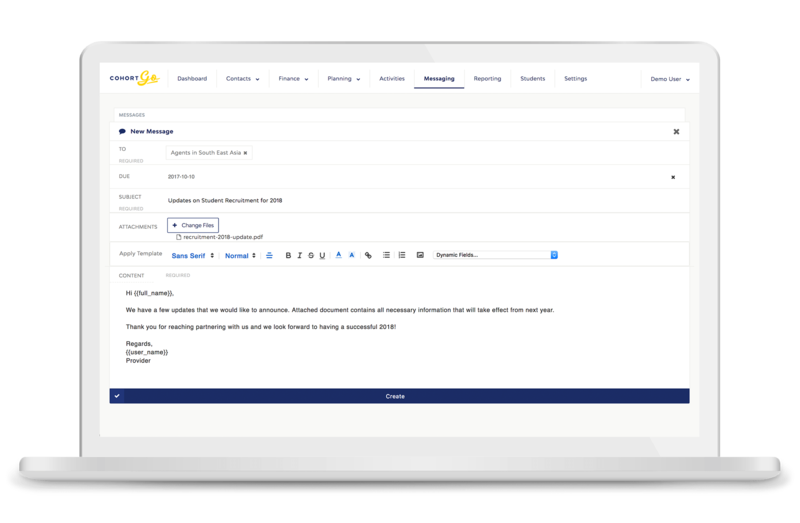 Broadcast marketing messages directly to your agents and issue, track and maintain your agent contracts, all without leaving the platform. Create, tailor and assign training modules and easily share stored documents with your agents. 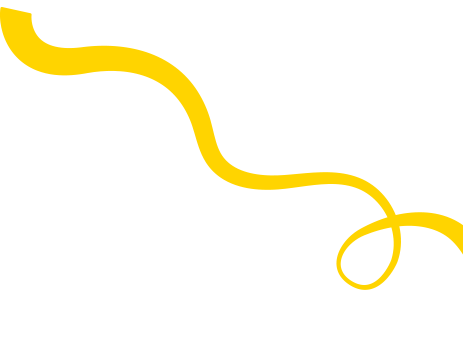 Find out how Cohort Go Agent Management can help you GO further.